... to further understanding, appreciation, cooperation, and education between the Jewish and Christian Communities. What's Happening at the JCLC? Taught by Ilan Sharon, JoAnn Magnuson, Deb Campbell and other guest speakers. Classes start September 13, 2016. To receive information about our upcoming classes either call us or join our mailing list, see more details on the right column. The Jewish-Christian Library & Center’s (JCLC’s) Mission Statement reads: "… to further understanding, appreciation, cooperation, and education between the Jewish and Christian Communities." We had a good opportunity to put this into practice on March 19, 2013. A few weeks earlier, I was contacted by Steve Hunegs, the Director of the Jewish Community Relations Council of Minnesota and the Dakotas (JCRC). He informed me that the Consulate General of Israel in Chicago was bringing in a new director and that he would be visiting the Twin Cities on March 18-19. Steve thought it would be great if the Consul General could see the very special center that Living Word Christian Center (LWCC) has created as a venue for building Jewish-Christian understanding (The JCLC). Steve knows and appreciates that LWCC is one of the very few churches in America (indeed, anywhere in the world) – where space, time and resources have been allocated to a project like this. Steve Hunegs had a few requests for us. He knew that Pastor Mac Hammond had led a clergy tour to Israel last November and that eight of the participants were local pastors who have come to the Twin Cities from African nations and who pastor local churches. Since the new Consul General had served for three years at the Israeli Consulate in Kenya, Steve asked if we could invite our African friends to the event, which, of course, we did. Steve also knows that we are located in Maranatha Christian Academy (MCA) and wondered if any of the MCA music groups could sing a couple of Israeli songs for the Consul General. We contacted Nancy Stein, the MCA music director, and sure enough - she had a group of girls who had sung some Hebrew songs last year and were very pleased to sing for our Jewish guests. It was during this serenading that the Consul General was “moved to tears” - he admitted afterwards. Pastor Lynne Hammond kindly invited us to gather in her executive area for lunch, preceding our time in the JCLC where the Consul General addressed the group. He gave a good insight into the situation between Israel and African Nations – which was an interesting and very relevant topic for our African guests. Although our time with the Consul was brief, it was indeed wonderful. Consul General Roey Gilad is a warm and charming gentleman and we all enjoyed him very much. We at the JCLC are very grateful to Steve Hunegs and his staff for the opportunity to partner in activities like this. We are also grateful to the staff and students of LWCC and MCA who proved to be amazingly flexible, as last-minute changes called for many adjustments to make this event a success. 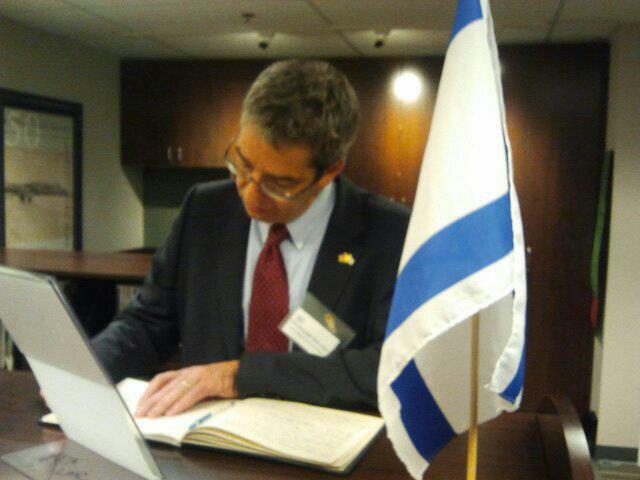 The Consulate General of Israel to the Midwest is Gilad’s first post in the United States. Before coming to Chicago, he served in various positions outside Israel including the UK, Jordan and Kenya. The 51-year-old native Israeli is fluent in Hebrew, English and Arabic and is knowledgeable in French. He holds an M.A. degree in Middle Eastern Studies and National Security and a B.A. Degree in Middle Eastern Studies. The Honorable Roey Gilad has arrived in Chicago to assume his post as Consul General of Israel to the Midwest. As Israel’s highest ranking official in the Midwest, Gilad will be responsible for 11 states in the Midwest region including his base of Chicago. During his 23 year tenure with Israel’s Ministry of Foreign Affairs, Gilad has served in various positions outside of Israel including the United Kingdom, the Hashemite Kingdom of Jordan, and Kenya. The Consul General was head of the Political Affairs Department in Israel’s Embassy in London; media spokesperson in Israel’s Embassy in Amman, and the second secretary in Nairobi during his first posting. While in his native Israel, Gilad was most recently at Israel’s National Defense College and prior to that was head of the Export Control Department of the Ministry of Foreign Affairs. Earlier this year, Gilad received a Master’s Degree in National Security at Haifa University. In addition, he has a Master’s Degree in Middle Eastern studies from Hebrew University in Jerusalem and a Bachelor ‘s Degree in Middle Eastern studies from Tel Aviv University. He served as a staff sargeant in the artillery forces of the Israel Defense Forces. In addition to his mother tongue, Hebrew, Gilad is fluent in English and Arabic and is knowledgeable in French. As an avid Marathon runner Roey is looking forward to the challenges of the Midwestern terrain and plans to run in next month's Chicago Half Marathon. He is married to Nitza and they have one daughter Avigail. 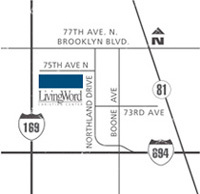 Wednesdays, service at 7:00 p.m.
Saturdays, service at 5:00 p.m.
Sundays, open from 10:00 – 11:00 a.m. & 12:00 – 1:30 p.m.